Bíonn Ranganna Rince Gaelach ar siúl gach Déardaoin sa scoil. Is í Lorraine Mhic Aoidh an Múinteoir Rince atá ag an scoil. Freastalaíonn daltaí ó Ranganna Naíonáin go Rang a dó ar na Ranganna Rince i rith an lae agus bíonn ranganna breise ar siúl i ndiaidh scoile. Cuireann Lorraine Feis Rince ar siúl sa scoil gach bliain freisin. 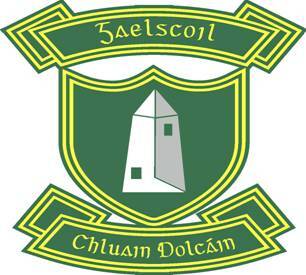 The children enjoy Irish Dancing classes every Thursday in Gaelscoil Chluain Dolcáin. Lorraine Mhic Aoidh is our dancing teacher and pupils from the Infant Classes to Second Class attend during the school day. There are further classes available after school. Lorraine organises a Dancing Feis each year in our school.